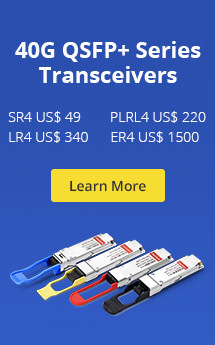 CWDM (Coarse Wavelength Division Multiplexing) and DWDM (Dense Wavelength Division Multiplexing) have their own advantages and their combination can greatly enhance transmission performance while reducing OPEX and CAPEX spending. Hybrid CWDM/DWDM solution is a flexible and scalable solution which offers many benefits to network carriers, especially in network expansion and upgrade. Today, I will introduce a simple, plug-and-play option for creating hybrid systems of DWDM channels interleaved with existing CWDM channel plans. 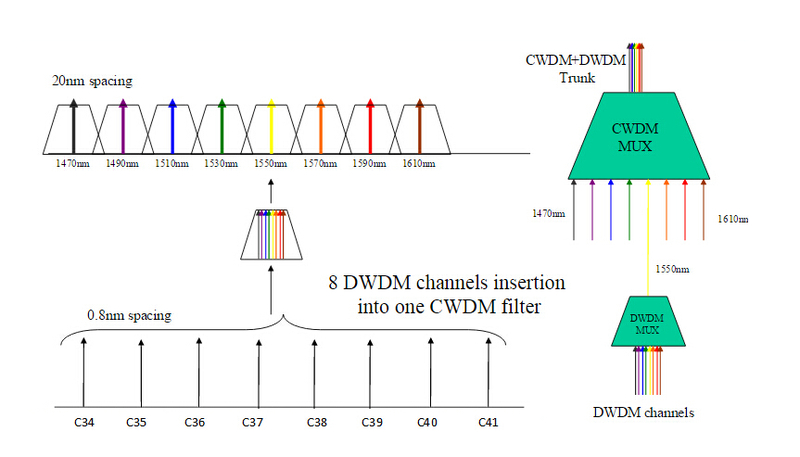 The difference between CWDM and DWDM lies in the channel spacing between neighbored wavelengths, for CWDM 20 nm and for DWDM 0.8/0.4 nm (using 100 GHz/50 GHz grid). A typical CWDM mux has a window of +-6.5nm per channel. Thereby several DWDM channels can be transmitted simultaneously in only one CWDM channel. Typically, 1530nm or 1550nm CWDM channels are commonly used for achieving hybrid CWDM/DWDM. The CWDM plug-in module is a high-band 8 channels module of 1470nm-1610nm wavelengths, with expansion port. And the DWDM module can be 8 channels C54-C61 or 8 channels C34 -C41. In addition, by using EXP port, the further expansion is available. 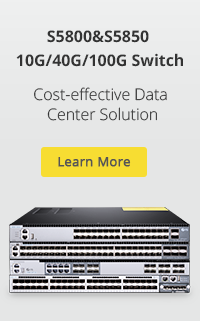 Hybrid CWDM/DWDM solution offers many advantages for users, especially in cost savings and flexibility of network expansion. 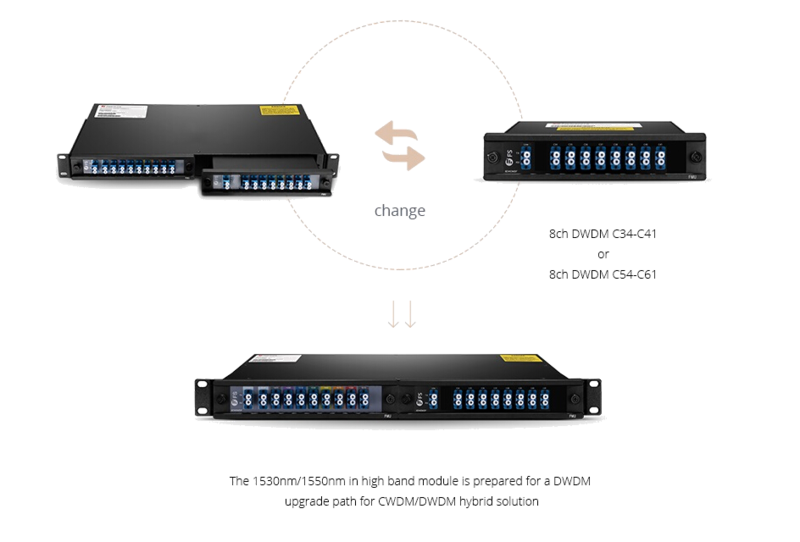 The 2-slot plug-and-play solution is a very cost-effective to achieve hybrid CWDM/DWDM in the limited 1U rack. In addition, it’s very flexible and scalable that users can easily deploy the CWDM, DWDM or hybrid CWDM/DWDM. If you are interested in the FMU 2-slot plug-and-play solution and want to know more details, please contact sales@fs.com or visit here. Related article: How much do you know about the ports on WDM MUX/DEMUX? This entry was posted in CWDM DWDM MUX OADM, WDM & Optical Access and tagged CWDM Mux Demux, DWDM Mux/Demux, hybrid CWDM/DWDM. Bookmark the permalink.